We have proudly served the Miami Valley area since 1991. We have proudly served the Miami Valley area since 1991. Throughout this time, we have maintained, nurtured and enhanced a tradition that forms the very foundation of our approach to delivering our services to our families, friends and neighbors—a tradition of caring. I was one of the very first residents at Village at the Greene and they have been here for over 30 years. The staff is very good to me and they treat me like family. I walk with assistance every day with their Restorative Program and it has helped me to keep my muscles and bones moving. I absolutely love the activities at Village at the Greene. I like playing Bingo, making arts and crafts, and attending happy hour and the church services. I wouldn’t choose any other place besides Village at the Greene. I have loved every minute of living at Village at the Greene. I have been here for 9 years. I will spend the duration of my life here. I have been in two other nursing homes and those were nothing to compare. I feel that Village at the Greene is more like my home. The staff is always so polite and good to me. They try to help in any way they can. I have been at Village at the Greene for 6 years. It is a wonderful place to be. Everything is clean. Our aides care for us how we should be cared for. If I have a concern, I go to see the person I need to see and it is taken care of right away. We have a good therapy department and lots of activities. 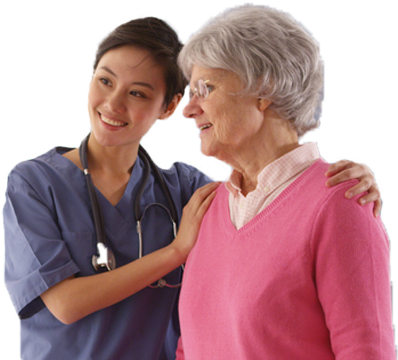 We have caring nurses and I feel that Village at the Greene is the best choice for care. I have had experiences at other nursing homes, but Village at the Greene is the only one that has had an immediate sympathetic, caring attitude. The therapy team motivates me to see that the end of my short-term stay is insight and attainable. The rehabilitation is wonderful and the therapists take time to explain what they want me to do. I know in the end it will help me reach my final goal of returning home. Also, the food is great and I will have to admit, I may have gained a few pounds while I have stayed here. I will always request to return for rehabilitation at Village at the Greene.